Growing up in the company of psychics, means getting used to people knowing your future. Blue has always been told two things about her future: she will fall in love, and, if she kisses her true love, he will die. She meets Gansey and his friends and realizes she’s seen him before. On the Corpse Road, walking among the other souls of those who will die in the coming year. Gansey died once already. And because of Glendower, he knew life again. Now, Gansey believes his purpose is to find the Welsh king of legend and wake him. He brings three remarkable friends with him on the quest. Adam, who has made a bargain with a magical forest, to serve as its hands and eyes, Ronan, who can bring items back from his dreams, and Noah, a boy who died on the ley line years ago, and joins the friends now as a ghost. So now it’s the fourth book, and Gansey et al are closing in on Glendower’s location. But a powerful demon has been set loose, and the team needs to find Glendower before the demon destroys Cabeswater and Ronan with it. If they can wake the legendary king, they can use the favor he’s promised to put an end to the demon. One of the most difficult things about a highly anticipated book like this is it has so many expectations to live up to. We’ve followed this big stories all the way to this point and we’re braced for the big satisfying moments where dreams are realized and plots come full circle and everyone lives gloriously if not happily ever after. Here comes a little diversity. In the first three books, the central characters are a pretty narrow bunch: four white boys and a white girl. The Raven King introduces Henry, a Korean boy, and reveals two of our boys as having feelings for each other. While I liked that the story broadened in terms of diversity, and I liked Henry a lot, I didn’t really feel like those elements were as well-integrated into the story. I kept waiting for Henry to emerge as having some critical role, and apart from having a really cool artifact and some comic relief, he really doesn’t add much in his own right. The boy/boy romance. I really couldn’t decide how I felt about it. Totally did not see it coming, which I kind of liked. On the other hand, I felt like after three books, I should have suspected something. Also, one of the boys had a girlfriend earlier in the series, and I wondered why the other hadn’t responded to this girl as more of a rival in a romantic sense? Then again, maybe I’d see some of those queues if I went back and reread the first three books? The climax really threw me. Pretty much from the point where the cloud of ravens come up through the end of the book kind of went downhill for me. Things happened too easily. Oh, here’s a car. Oh, here’s a cave. Oh, here’s a sacrifice. I kept thinking, that’s it? That’s all we get? ALL this buildup for THIS?! So, the wasp-demon fight went down a whole different way, leaving some pretty big loose ends: The Green Man? Henry’s mom? Piper’s dad and his brother? I was relieved when I discovered there was an epilogue. But honestly, it didn’t answer any of the questions the story left me with. In fact, I really didn’t know what to make of it. Sure, we get to see the characters moving on after completing this quest which has dominated their lives for four whole books, but it was like suddenly they’re ordinary people. (And ordinary people who make weird choices. Really, Adam??) I had a rush of the same feeling I get when watching The Return of the King in the scene where Aragorn is finally crowned king and suddenly he’s soft and sweet and awkward and I’m like where is the warrior who didn’t even blink at taking on nine freaking Nazgûl?! But I digress. Bottom line: am I glad I read it? Yes. Totally. Even if every review said exactly all these things, I would still have said, yes, but I need to read it. I need to follow Blue and Gansey to the bitter end. So I’m not sorry. The first three-quarters of the book was great. Lots of tension. So many moments where I was biting my nails and holding my breath. I loved the stuff about Blue and her dad. I loved that we got to see Ronan at home and kind of unguarded. All the stuff revealed about Ronan’s dad and his brother Declan? Awesome. So there are good things to be had in the story, too. For me, like I said, I’m glad I read it. Now I want to go read Dream Thieves or The Raven Boys and let those earlier, grander parts of the story live on in my mind instead of the true final moments of the series. Extreme profanity used moderately throughout the book. Kissing – girl/boy and boy/boy. Blue’s mom and their other housemates are psychics. They perform a tarot card reading early on in the book. Gansey and his friends are looking for a Welsh king who, according to myth, sleeps somewhere along the Ley Line that runs through their town. If Gansey and his entourage can find the king and wake him, legend says he’ll grant them a favor. Along the course of the hunt, one of their rivals woke a demon. The demon will destroy Cabeswater (a magical forest), Ronan’s home and family, and even Ronan himself unless they can kill it first. Blue learns of a people who can transform into or disappear into trees. A ghost attacks and physically harms Blue. The demon kills a woman in a pretty gruesome way. Later, a man shoots his daughter. A ghost attacks Blue, tearing at her face. The demon takes control of a boy and uses him to attack his friends. Blue and Gansey attend a party where some boys are drinking alcohol. 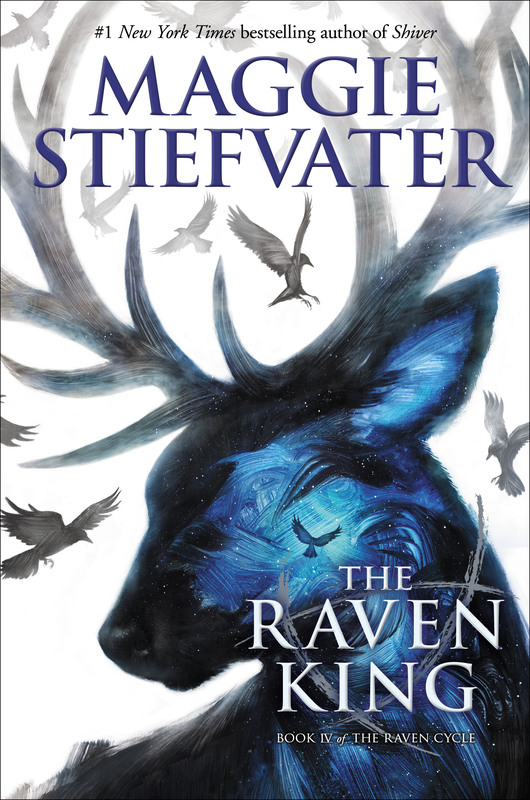 Tagged Maggie Stiefvater, psychics, Scholastic Inc, The Raven Cycle, The Raven King. Bookmark the permalink.